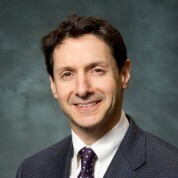 Peter J. Neumann, Sc.D., is Director of the Center for the Evaluation of Value and Risk in Health (CEVR) at the Institute for Clinical Research and Health Policy Studies at Tufts Medical Center, and Professor of Medicine at Tufts University School of Medicine. Prior to joining Tufts, he was on the faculty of the Harvard School of Public Health. His research focuses on the use of comparative effectiveness research and cost-effectiveness analysis in health care decision making. He is the founder and director of the Cost-Effectiveness Registry, a comprehensive database of cost-effectiveness analyses in health care. Dr. Neumann has written widely on the role of clinical and economic evidence in pharmaceutical decision making and on regulatory and reimbursement issues in health care. He served as co-chair of the 2nd Panel on Cost-Effectiveness in Health and Medicine. He is the author or co-author of over 250 papers in the medical literature, the author of Using Cost-Effectiveness Analysis to Improve Health Care (Oxford University Press, 2005) and co-editor of Cost-Effectiveness in Health and Medicine, 2nd Edition (Oxford University Press, 2016). Dr. Neumann has served as President of the International Society for Pharmacoeconomics and Outcomes Research (ISPOR), and as a trustee of the Society for Medical Decision Making. He is a member of the editorial advisory boards of Health Affairs and Value in Health and has served on many advisory boards, including those for the Congressional Budget Office and the Robert Wood Johnson Foundation. He has also held several policy positions in Washington, including Special Assistant to the Administrator at the Health Care Financing Administration. He received his doctorate in health policy and management from Harvard University.